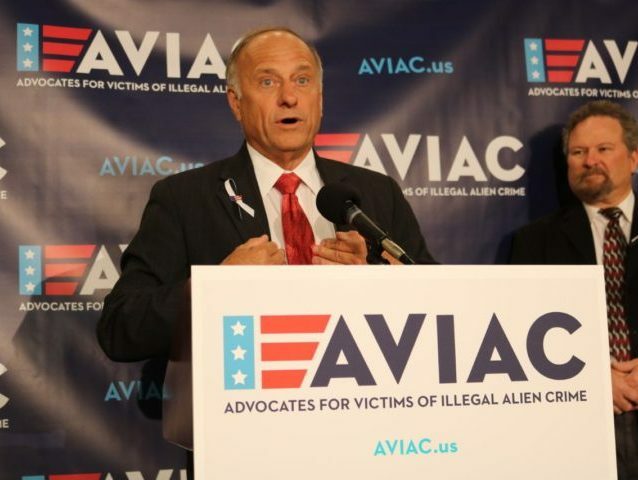 Rep. Steve King called it a “privilege” to participate in the event. He spoke of his own friends who have lost loved ones and the lives “snuffed out” in crimes that were “preventable.” He spoke of a Cottonwood, Minnesota case in which four schoolchildren were killed. He also emphasized the importance of rule of law in America and need to enforce current immigration law. King said he wants to see a concrete wall built along the U.S. southern border and even a secondary fence that allows Border Patrol to patrol in the area between the two barriers. 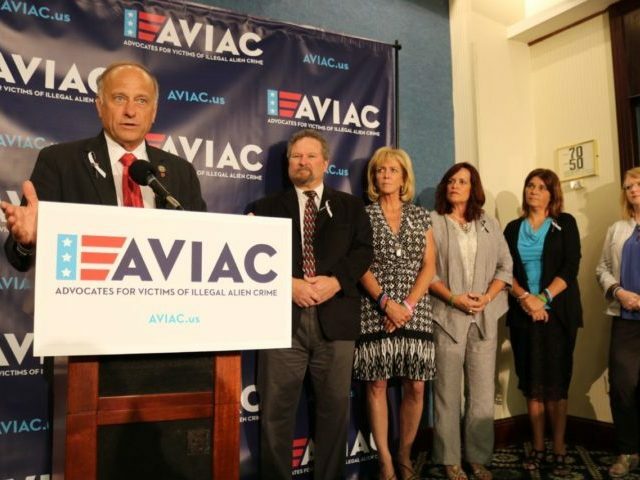 “I want to stay involved with AVIAC as much as I can,” said King. He encouraged everyone to contribute and reach out to friends and neighbors, “so America understands the price that Americans have paid for the failure to enforce immigration law.” He assured that these families are in his prayers. 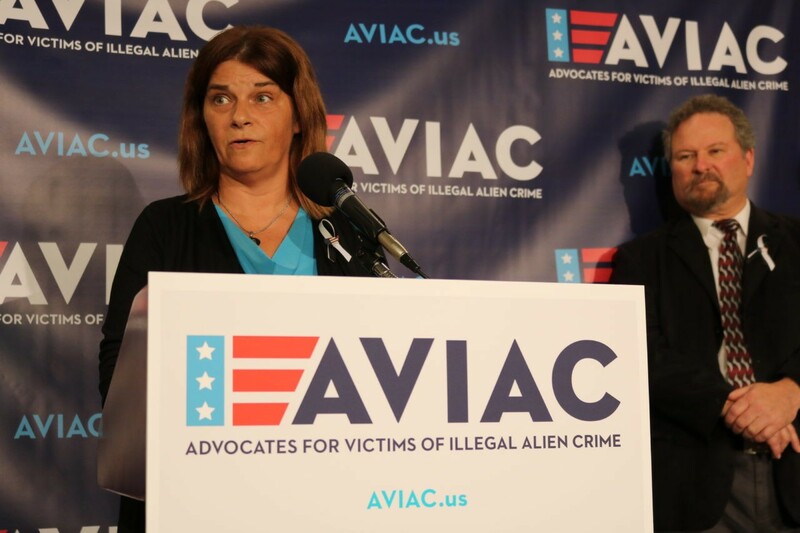 Angel family members Michelle Wilson-Root, Maureen Maloney, Sabine Durden, Don Rosenberg, Brian McCann and Mary Ann Mendoza each took to the podium telling the stories of their loved ones killed at the hands of individuals in the U.S. illegally. Their fallen sons, daughter, and brother include Sarah Root, Matthew Denice, Dominic Durden, Drew Rosenberg, Denny McCann and Brandon Mendoza. Above: Michelle Wilson-Root lost her daughter Sarah. “We are proud to stand side-by-side with Congressman King, Commissioner Barnhart, and other families who share similar stories of loss, perseverance and public action. 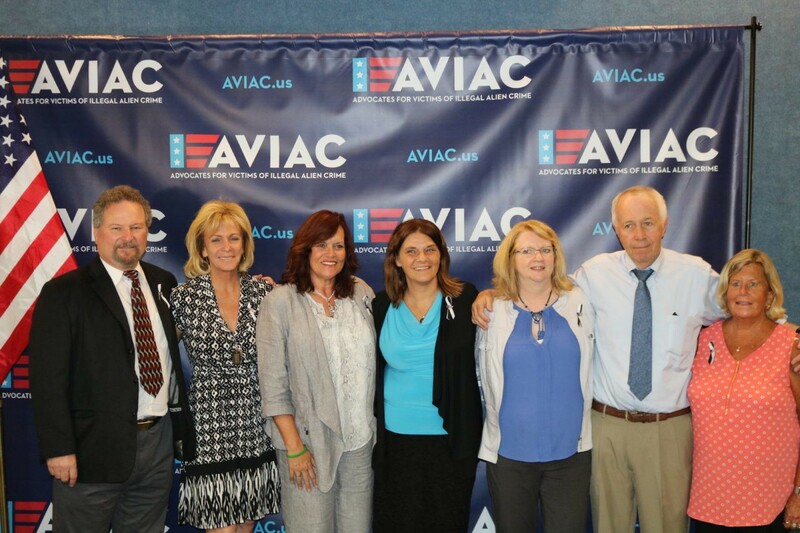 We’re letting Washington, and everyone across the United States, know that we are united in our fight to protect the safety and security of every American citizen,” AVIAC co-founder Mary Ann Mendoza said of the event launch. 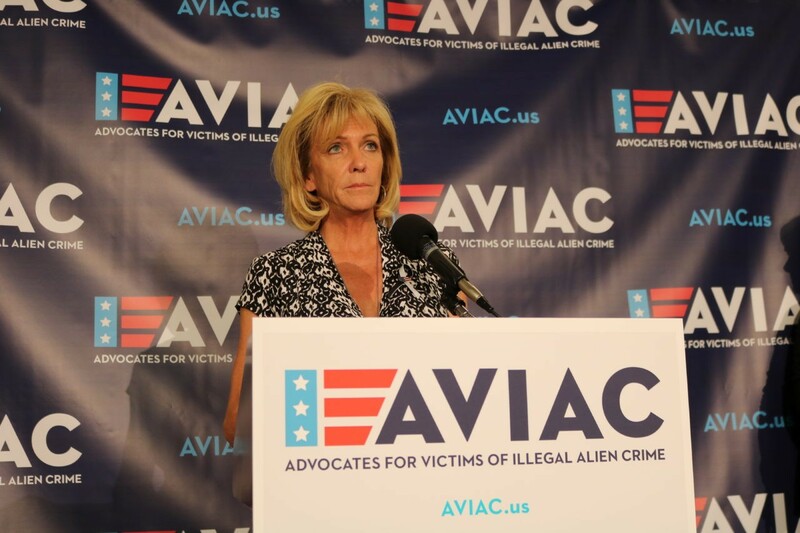 Above: AVIAC co-founder Mary Ann Mendoza speaking.